Google isn’t the only search engine in town with it’s own web browser. 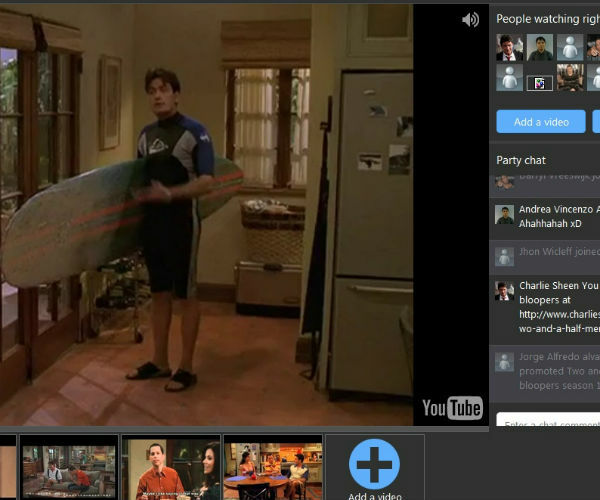 Yahoo announced its own new browser Wednesday evening: Axis. Working seamlessly between your iPhone, iPad and desktop computer Yahoo is aiming to streamline your searches and connect your experience across devices by giving you access to the same information no matter what device you’re accessing it on. Visual previews of sites in Axis eliminate the traditional step in web searches where you’re looking through links and replaces that experience with an image of the website you’ll be going to. Some searches can even be done without leaving the page you’re on. Tapping the Axis Bar -– which combines the search box and address bar into one -– will bring up a list of trending searches. You can tap a particular trending search to learn more, or enter your own search term or website address into the bar. Answers will begin to appear automatically for common searches like movie times and weather, often allowing you to see what you’re looking for without having to leave the page you’re on. For other searches the browser will create a row of visual previews to websites matching your specific query. You can swipe through the results, and then tap on a picture to visit a specific page. If you don’t like the result you’ve selected you can swipe across the screen to check out the next search result. An Axis homepage gives you access to the sites you’ve recently visited not only on your iOS device, but also on your home computer or any other device you might use running Axis. So, the homepage on your iPad will show a website you visit frequently on your iPhone, or one you check out often while browsing at home. Searches can also be continued from one device to another. For instance, a “Continue from iPhone” button will appear on your iPad and allow you to continue viewing search results you were looking at one your phone on a bigger screen. On your computer Axis is a plug-in for your favorite web browser rather than a stand-alone product of its own. Available for Chrome, Firefox, IE, and Safari, the Axis toolbar shows up at the bottom of your web browser and can be used much like the iOS version to see visual previews of sites, and to look up information without leaving the page you’re on. The homepage option is also available within your browser, allowing you to look at favorite websites and continue viewing search results from your iPhone or iPad. Axis is available now. 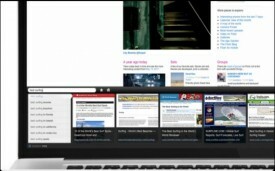 What do you think of the web browser. Can you see yourself using it? let us know in the comments. Instagram’s jaw-dropping $1 billion price tag became a lot more understandable on Thursday with the release of Facebook Camera for iOS. The app — which was in development before the social network made its offer to buy Instagram about six weeks ago — gives us a glimpse at how Facebook was planning to compete against the young mobile-first startup. 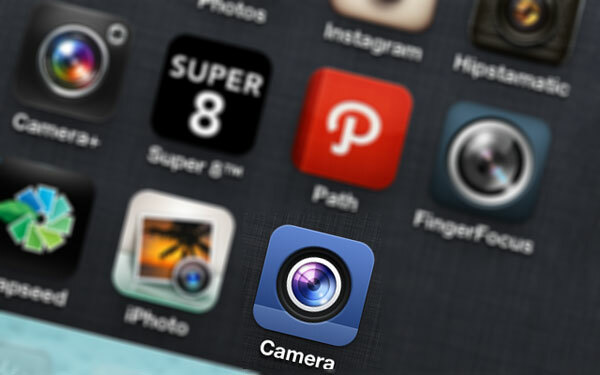 It also showcases just how important Instagram is to Facebook’s future. 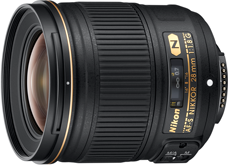 The new Nikkor 28mm f/1.8G lens is now shipping in several European countries and the US. Amazon has already some in stock from third party resellers with a $100 premium. 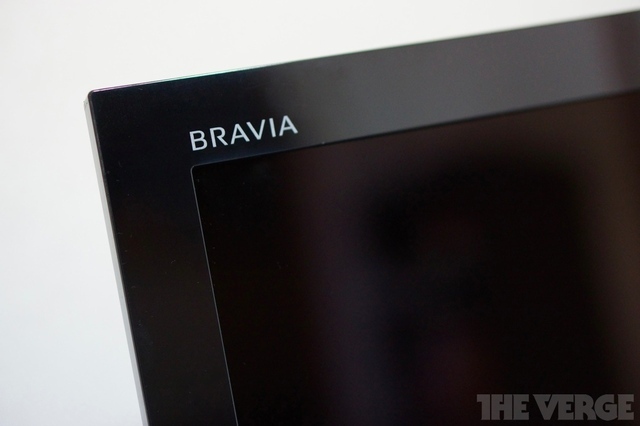 Samsung and Sony have both started restricting retailers from offering discounts on TVs. The Wall Street Journal reports that the move is designed to protect both the manufacturers' margins and the retailers' profits by preventing "showrooming," where customers check out models in person before buying them for less online. Showrooming was reportedly behind Target's recent decision to stop carrying Kindle hardware, with a source citing a "conflict of interest" in promoting Amazon's products. Apple has similarly strict policies, and Sony itself already controls the retail price of certain products such as game consoles. However, there is concern that the enforcement of minimum TV prices could drive customers to products from competitors that allow discounting, such as LG and Panasonic. Last month we saw hikes of over $1000 on Sony sets that seemed to confirm its move to a premium pricing strategy, and minimum prices for Samsung's 2012 HDTV lineup leaked back in February. Samsung has also said that it's comfortable with placing a relatively high premium on its laptops. While it certainly isn't surprising that Sony needs to take drastic measures to put its TV business back in the black, Samsung's division is in fairly rude health. It's understandable that the Korean manufacturer would want to maximize profits, but its ability to compete on price has been instrumental in eclipsing its Japanese rivals. We're not sure how this will end up working out for Samsung and Sony, but one thing is clear — we shouldn't expect to see their TVs on sale anytime soon. The hard drive industry continues to contract: today Seagate announced that it will acquire boutique hard drive vendor LaCie at a total valuation of $186m. Seagate will first purchase 64.5 percent of LaCie's stock from CEO Phillipe Spruch, and then try to buy all the remaining shares over the next few months; if it succeeds in purchasing 95 percent of the company within six months, it'll bump the final price paid to Spruch by 3 percent. Spruch himself will join Seagate as head of consumer products. The move follows Seagate's $1.4b acquisition of Samsung's traditional hard drive business in December and rival Western Digital's merger with Hitachi in March. 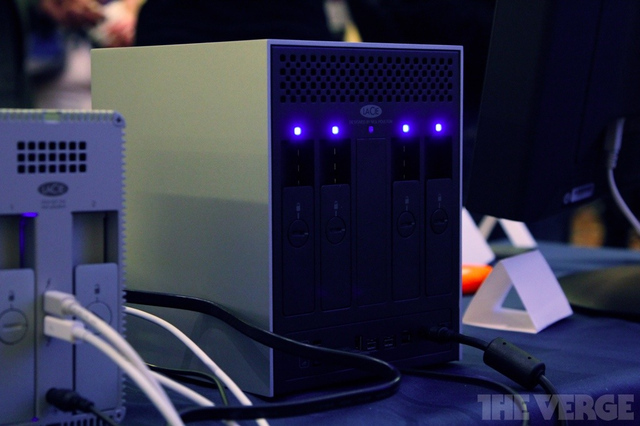 While the LaCie buyout is much smaller, it offers Seagate an established consumer brand, a history of innovative design — LaCie has long worked with designer Philippe Starck — and continued vertical integration as more and more storage moves to the cloud. The deal is of course subject to regulatory approval in the US and Europe, but Seagate expects it to close in the third quarter of this year. 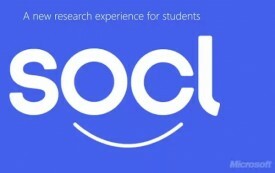 Microsoft’s new site So.cl — which combines social networking and search — is giving college students a platform to learn and collect information, news and pictures from around the web. But can the latest social network truly stand out in an already-crowded social space? Since So.cl borrows and builds from a bevvy of existing sites — and doesn’t aim to replace sites such as Facebook and Twitter — it has the potential to take off, especially among its target audience. Following a series of tests at universities including the University of Washington, Syracuse University and New York University since December 2011, So.cl — pronounced “social” — officially launched over the weekend. The model allows you to create and share posts based mainly on Internet searches, but it also features many standard social features such as sharing text, photos and videos. So.cl was first developed after Microsoft FUSE Labs staffers analyzed data from Facebook, Twitter and Bing, tracking how shared URLS spread around the web. “We started to think about how we could create an experience around that — about making search social and making it easy to share rich, beautiful posts without having to leave your network,” said Lili Cheng, general manager of FUSE Labs, on Microsoft’s research site. So.cl is intuitive, allowing users to easily navigate the platform, follow others, set up feeds and search popular trending topics. But the site boasts many traits we’ve seen before — its layout is similar to Pinterest in that users can create boards and registration is currently limited to college students. (Remember the early days of Facebook?) Its streamlined news feed also resembles Google+’s ultra-white minimalist design. 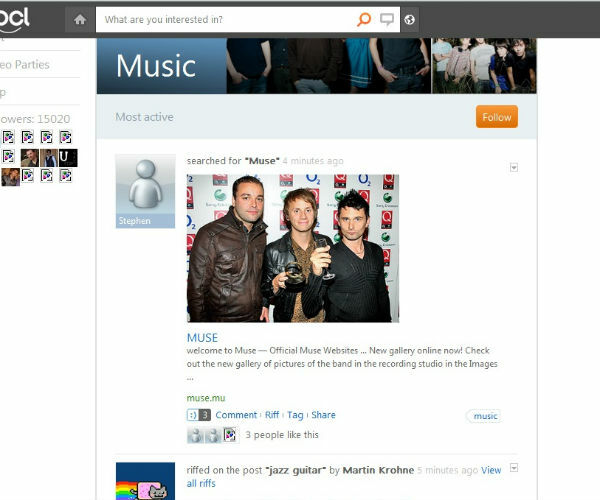 The network also showcases profiles from users in the community, flashing their interests with pictures of, for example, their favorite cuisines and bands. 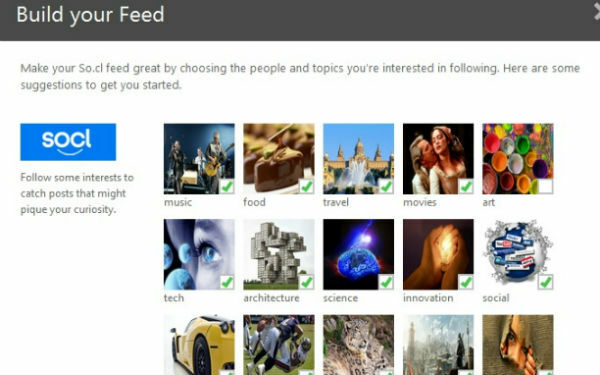 This allows members to connect with new people based on topics about which they feel most passionate. However, since it’s an open community, we also saw some graphic images that might catch some people off guard, including Osama bin Laden’s alleged death photos and a GIF of a couple engaging in some intimacy. You can, of course, unfollow certain users and set up restrictions. Although So.cl requires you to sign in via Facebook or Windows Live, the good news is that it doesn’t automatically post searches, comments or likes to your Facebook stream unless you elect to do so. But be mindful — every search you do on the site is actually public unless you indicate via its search bar that you want restrictions. Right now, you can’t limit searches to those who you follow. In order for users to truly be at ease, more privacy options will likely roll out in the near future. What do you think about So.cl? Do you think its model is poised for success? Let us know in the comments. High-end electric vehicle manufacturer Tesla announced the upcoming launch of its Model S four-door sedan, which should be available almost any day now. If you are one of the lucky people who ordered the luxury EV, it could arrive in your driveway as soon as June 22. The Tesla website breaks the Model S into two groups — the limited edition Model S Signature and the just plain Model S. The former is the more expensive model, ranging from $87,900- $97,900, with only 1,000 made. The site notes the Model S Signature vehicles are slated to be delivered mid-2012 and the Model S — which ranges from $49,900-$84,900 in price — in Fall 2012. So, if you see a Tesla car being delivered to your neighbor’s house next month, be sure to ask for a test drive — the top-of-the-line Tesla goes from 0 to 60 in 4.4 seconds. Another California electric vehicle company, Coda Automotive, has also launched its Coda Sedan. Priced at $37,250, it aims to make the EV market more affordable. Would you buy the Tesla Model S? Tell us in the comments. Note how small the twelve-berth carriage is compared to the helium-filled skeleton that lifts it. The Zeppelin is guided in with a stars-and-stripes windsock. The crew guide her in. Boarding the Zeppelin is about the most difficult part -- you're trying to tie a giant helium balloon down long enough to climb into its cabin up a set of moving stairs. The crew throws in ballast to keep the balloon down. Of course, under FAA regulations, every air-going vessel must have a safety demonstration. Passengers prepare as the Zeppelin lifts off from Moffett. The Google HQ is right next to Moffett field in Mountain View, the Eureka Zeppelin's first home. Note that the Zeppelin's landing gear -- a single wheel -- stays down. The Zeppelin flies over Mashable's SF offices. What, you thought this thing flew itself? The pilots will hear your requests. If your house is reasonably close to the route, they may fly over it. There are two pilots on every Zeppelin flight. With little to do except monitor the slow-moving airship and steer with their pedals, they develop a healthy banter. Airship Ventures actually encourages you to chat with the pilot. Sound studio recording deck or Zeppelin control panel? A Zeppelin is significantly easier to operate than a plane. Some of the pictures you can get in the California sunlight look unreal. in the Naval dockyards off Oakland. This is what the view from every seat looks like. Not surprisingly, most people who don't have cameras have their phones out for pretty much the whole flight. A special rounded glass wall at the back is great for panoramic shots. If this was the view from your office, you'd be smiling too. There are worse places to ferry people. A view of the new span of the San Francisco Bay Bridge and its single tower, to be completed in 2013. There's plenty of back and forth between windows once you're allowed to take your seatbelt off. heading towards downtown San Francisco. Note the GPS unit the pilots use to guide themselves, in the lower left corner. Another hidden landmark it's hard to see from any other form of transport. Yes, that's how low you fly. As the Eureka comes into land at Oakland, a hint at its tremendous size. Yes, you are allowed to stick your head out. The interior may not look as opulent as the 1930s airships, but sipping champagne in the sky remains the same. Nothing better at the end of a hard day's airship flying than complimentary champagne. Even when the airship is leaving, you can get some great shots. If you live in the Bay Area, you’re likely already familiar with the Eureka. You can see its white and orange frame just about every morning and afternoon, hanging in the skies near San Francisco, casually drifting over the busy city a thousand feet up, like it has all the time in the world. The casual observer may confuse the Eureka with a blimp. But you don’t have to be an expert to realize it isn’t. Blimps are pudgier, smaller, harder-to-maneuver balloons mostly used for sports coverage. The Eureka is long, thin and can turn on a dime, like a sleek sky shark. And it has only one purpose: air tourism. Run by a company called Airship Ventures, the Eureka is one of only three functioning Zeppelins in the world — or, to be more precise, a $15 million Zeppelin NT (for New Technology). At 246 feet long, it is also the world’s largest airship, and slightly longer than a Boeing 747. When I first hopped on the Eureka, in 2009, Airship Ventures was a struggling two month-old startup. After 2008, it seemed an odd moment to launch a helium-based tourism company — who in that economy could afford $950 for a two-hour sunset cruise in the twelve-berth cabin, or even the $199 for half an hour? But that champagne-sipping, cheese-nibbling sunset cruise over the Golden Gate kept passengers coming from the Bay Area and beyond. Airship Ventures thrived, particularly with sponsorship from companies such as Farmer’s Insurance and Pixar (which used the Zeppelin to promote ‘Up’). Initially based in NASA’s Moffet Field, near the Googleplex (and with a great view of it), Airship Ventures now also runs the Eureka out of the Oakland Airport. It takes regular flights, chartered and otherwise, down the coast to LA, the OC and San Diego. It has shown up on the Colbert Report. The company is mulling the purchase of another Zeppelin. And perhaps the biggest compliment of all: Goodyear is retiring its famous blimp and ordering a fleet of three Zeppelins — doubling the world’s fleet. The Goodyear Zeppelins will also do air tours around America starting in January 2014. So is this a flourishing business model? Airship Ventures is the first to admit that Zeppelin travel is not going to replace the airline industry in getting people from Point A to Point B as fast as possible. Quite the opposite. It’s about being unhurried, and floating above a beautiful city, chatting with the pilots and flying close enough to take fantastic snaps. Who wouldn’t want to do that? Check out our gallery, and let us know in the comments: would you pay to fly in a Zeppelin?